We are excited to announce the release of completely redesigned REVE Chat dashboard! The new interface of our live chat dashboard is much more user friendly, easier to customize and helps you to provide a better customer service. We have been collecting customer feedback for the last couple of months and based on that, our whole team has worked really hard on redesigning the dashboard and its functionalities to help you in offering a better experience to your customers. What’s new in the REVE Chat dashboard? We have optimized the live chat dashboard design to increase productivity and easy navigation of all the essential pages which allows you to fully explore all the features. Under ‘Reporting and Analytics‘ part, we have updated the overall look and feel of various other sections like, ‘Offline Message’, ‘Visitor Analytics‘, ‘Chat History‘ and ‘Agent Analytics‘. 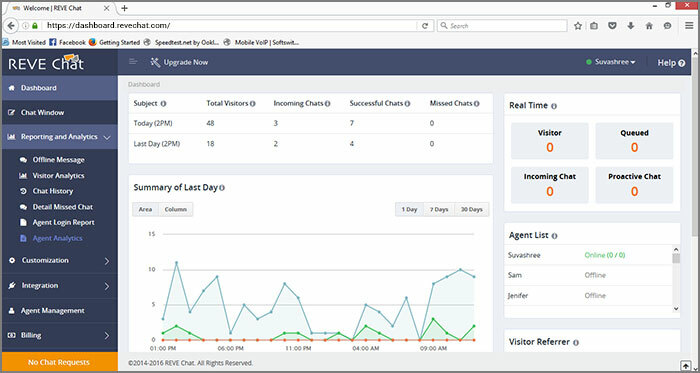 This analytic part basically helps you to get an idea about the overall performance of support agents and manage the whole support service. With our new design and interface, now you can manage the whole thing in a better way for sure. A new ‘Help’ section is added clicking on which you can get access to our ‘Knowledge base’, and ‘Schedule a Demo’. It also has the ‘Submit a Ticket’ section from where you can raise a ticket. Clicking on the ‘Knowledge base’ section, you will be redirected to our ‘Support’ page which has helpful content like FAQs, Integrations, Agent Handbook, Tutorials and many more. 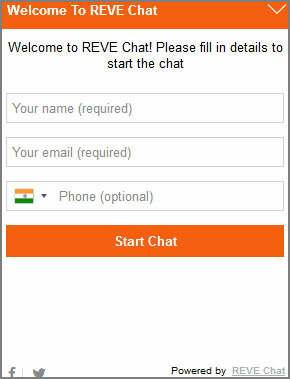 To get a demo on how REVE Chat works, you can click on the ‘Schedule a Demo’ tab. 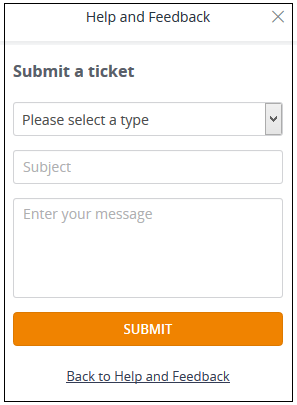 It also has the ‘Submit a Ticket’ section from where you can raise a ticket for other assistance. To help you in understanding the functionalities of all the features, we have added tool tips. It gives extra information when you move the mouse pointer over any specific feature or functionality. The redesigned chat banner and widget not only look stylish but also mobile responsive. Now you can offer assistance to the customers even from your mobile. With our new interface, website visitors can live chat with you from their mobile devices. Undoubtedly, all these together will add a great value to the appearance of your website when surfed from a mobile device. If you are confused about the REVE Chat integration, you can easily email the REVE Chat script to your concerned developer for help, from the dashboard itself. To help you with the integration, we have also added the tutorial video on our ‘Customization’ section.